It takes someone very brave to be a mother, someone strong to raise a child, and someone special to love someone more than herself. Dawoodi Bohra women live these beliefs every day, when they raise their children. 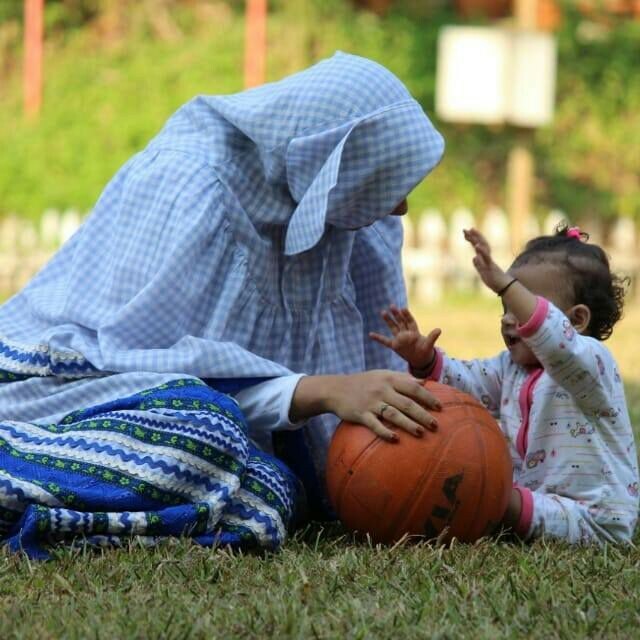 Having been brought up with values of care, compassion, honesty, and love, Dawoodi Bohra mothers pass on not just these values to their children, but also safe motherhood tips from one generation to the next. On the occasion of National Safe Motherhood Day, we spoke to Dawoodi Bohra women across generations, to find out what tips they followed, and passed on to their daughters. A proud great grandmother, Vaziraben Kalimi, based in Surat, states that maintaining a good diet when pregnant is of utmost importance, and she ensured that her daughter Radiya followed the same when she was expecting. This advice stayed with Radiya, who expressed gratitude for the lessons, which saw her through a smooth pregnancy. She also stated with pride, that her mother inculcated in her the values of humility and patience, and encouraged her to raise her children herself, without the help of a nanny. Radiya also speaks about her creative streak, which she inherited from her mother, and has been passed down the generations, to her daughter Insiya, and twin granddaughters Munira and Ummihani. Insiya recalls her mother advising her not to stay idle for too long, and motivated her to keep busy, even when it was tough. This, she says, worked wonders in minimising constipation, and even helped with morning sickness. She further goes on to state that access to adequate healthcare facilities for expectant mothers should not be treated as a luxury, but given its due importance as a necessity. And to women across the world, she advices them to follow a protein and fibre rich diet, besides drinking plenty of water and ensuring they get an equal amount of rest as well as exercise. As the fourth generation, Munira and Ummihani are very proud of the values which they have been raised with, and credit their mother for being their friend and confidante. Ummihani further states that she has seen her mother, grandmother and great grandmother, be assertive, strong women, who always fought for their rights, and hoped to inculcate these values in their children someday. Mumbai based Naqiya Chawala stressed on the importance of access to quality healthcare facilities, saying, “There are so many complications which can arise at any time. Hence healthcare facilities are one of the most important things a woman needs during this time.” She further adds, that when she was pregnant, her mother, Sakina Abidali advised her to eat healthy, avoid bending a lot, and keep her legs on a pillow at night, to prevent swelling. She also proudly states, that while pregnant, she travelled a lot, and stressed on the importance of staying physically and mentally active till the last minute. To her daughter- she advices her not to get overwhelmed with the amount of information available today, and follow her instincts. She also says that it is important to put in place a support network, and plan your diet well. Her grandmother Sakinaben fondly recalls her pregnancy, saying, “When my husband and I were trying to conceive, I started praying more, and sought the blessings of the late Dr. Syedna Taher Saifuddin, and it is only because of him that we were blessed with a child.” She also added that when Nisreen was pregnant, she encouraged her to follow her footsteps and seek His Holiness’ blessings for both herself, as well as her child. She also told her to follow a healthy diet, and stay cheerful. “The child in your womb can sense everything that a mother is going through. Never do anything that can have a negative effect on her/his physical and mental well-being”, she says with a smile. When speaking to Nisreen, she was nothing short of grateful to her mother for these tips, saying that heeding her advice, she became disciplined with her prayers, and also learned not to use pregnancy as an excuse to become lethargic. To her daughter, she advised her to take care of her physical and mental well-being, as healthy mothers give birth to healthy babies, thus laying a strong foundation for not just the future generations, but the nation as well. National Safe Motherhood Day, though observed in order to create awareness around proper healthcare and maternity facilities for pregnant women, goes beyond that, for Dawoodi Bohra women. Although from different generations, they share a common belief that safe motherhood encapsulates more than just the term ‘pregnancy’. Safe motherhood for them is a lifelong process, with multiple rewards, rendering the efforts worth it.